Hello people, I am back! And what better way to reintroduce myself than by looking at a 2011 movie whose fast approaching sequel may be number one on my summer radar? Rise of the Planet of the Apes is a reboot of the beloved but maybe now slightly cheesy late 60’s and 70’s movies, serving to essentially tell the same story but in a much more modern setting. Brilliant scientist Will Rodman (James Franco) is at the cusp of a major breakthrough in the field. For years, he and his colleagues have been testing on apes in an effort to find a cure to degenerative brain disorders, like Alzheimer’s. On the day they are to bring in their test subject to display their progress, the female chimp goes berserk in the facility, which results in “Bright Eyes” and other experimental apes being put to sleep. Her behavior, initially attributed to side effects from testing, instead shows to be correlated to protecting her newborn. Like his mother, this young chimp, exposed to the “mind repair” drug, shows amazing cognition far beyond humans in similar development stages. Forced to take him in or put him down, Will and his ailing father name him Caesar. By the end of the film, you’ll see why. Featuring outstanding CGI, excellence in motion capture, and a satisfying plot, Rise of the Planet of the Apes is simply one of the better reboots of all time and really just a very entertaining piece of cinema. It is definitely great in a multitude of areas, but RPtA excels most in the technical department. For most of the movie, CGI isn’t really “seen” if that makes sense. What I am saying is that it never feels as if there are graphics or images transplanted into scenes that look like something or someone caked over digitally to resemble primates. Long I know, but every orangutan, silverback, chimpanzee, etc. does appear and move as if it is the real thing. Even the setting of San Francisco is an aspect of this movie that doesn’t receive a ton of acclaim, but it should. Of course, not all is filmed in “The City by the Bay,” but the bulk of the important scenes are. Something about seeing the apes scale Redwood Forest and the Golden Gate Bridge feels right from an aesthetic standpoint in a way that seeing these same apes run rampant in Chicago or New York wouldn’t, in my opinion at least. It is pretty clear what the climax will consist of with this movie. This predictability would be a problem and render the meat of the plot useless if there was no reason to get invested in anything or anyone. Thankfully, RPtA doesn’t have this issue, and proves that the journey can be just as important as the destination, if not more so. Rise takes the time to build its main characters, why they do the things they do, and their resulting relationships, which makes the end all the more emotional as a result. Is it a slow burn? Sort of, but there are enough “Whoa!” moments injected sparingly during these slow happenings that whet the appetite. Additionally, while the themes of oppression and self-categorization are not groundbreaking and have been touched before in earlier installments, the inclusion of them never feels heavy handed. Among the human characters of most importance, James Franco is the most prominent here. As stated, there is a strong motivation to what he does, even if it may be unethical, that makes him relatable. From a performance perspective, Franco is pretty average. He’s turned in great roles before, but nothing of great value in this. Still, he adds a known name to the film that a lesser unknown could not. Underrated in many circles, here John Lithgow perhaps hits the highest emotional note. In many ways, he is the catalyst for much of what occurs. Freida Pinto (Slumdog Millionairre) unfortunately serves as a pretty face with little to do, and it is not hard to imagine the movie without her. 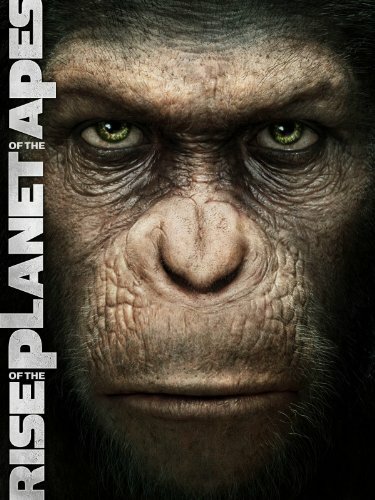 Without a doubt though, the star of the show is clearly Andy Serkis as Caesar. It has been a minute since I felt so invested in a “live” animal on film, but Serkis is that good. From Caesar’s infancy to his galvanizing young adulthood, all of his trials and tribulations are felt by the audience, without spoken words. Serkis is able to bring charisma, intensity, and introspection through body language and eyes alone. Truly a marvel. 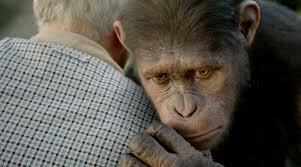 Rise of the Planet of the Apes is a great blockbuster film all around. Not relying solely on amazing visual effects, but also a very engaging and emotional plot spearheaded by Caesar and his ape nation. A wonderful way to reestablish the PoTA universe and build anticipation for Dawn of the Planet of the Apes. Photo credits go to shopstak.com, collider.com, highdefdisknews.com, and imageevent.com. Follow the Movie Man @MovieManJackson. It was a surprisingly well-made re-boot that showed there’s more life left in this franchise. Even if we didn’t really need it to come back. Good review Jackson. It really came out of nowhere didn’t it? And yet, it probably wasn’t that well needed. At least it was of high quality. Like you I’m also very much looking forward to the sequel and agree that it is one of the best reboots ever done. Going in I wasn’t expecting much from it, but it ended up in my top 10 of favourites that year. Loved that moment when the ape suddenly started speaking…. One of the more surprising moments in recent memory for sure! Quite the sleeper this was, despite it coming in the blockbuster season. I’m considering giving this film a perfect score. I’ll admit the relationship element between Franco and the jaw-dropping beautiful Freida Pinto isn’t the strongest but damn….the rest of the film is spectacular! My heart actually hurt at times with the way Ceasar was treated! I love this movie so much! Yeah, it truly is a great film. I may bump this to an A-. Nice review. I agree Freida Pinto was wasted in this movie. 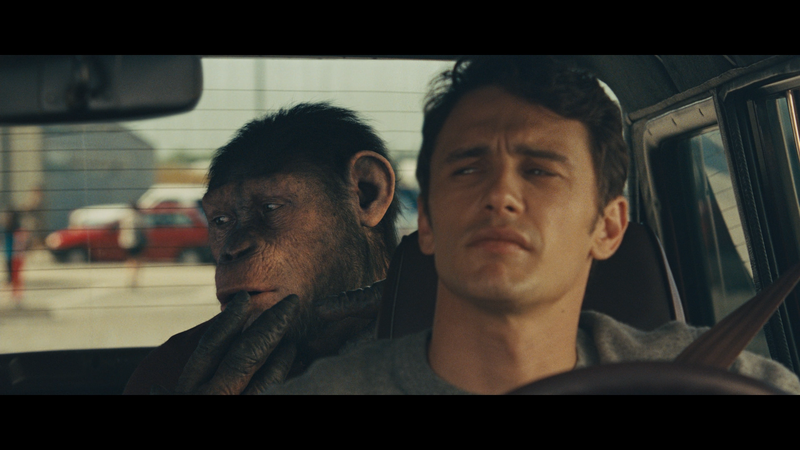 Loved James Franco and the little ape though. There really isn’t much wrong with this film at all, aside from some kind of average performances. Still one of the better reboots ever. Thanks for the comment!